We all have huge demands on our time, energy and focus. Without exception. But the biggest demand for our attention are the conflicting voices in our head. This is the reason why many people find it challenging to make a decision, stop procrastinating about things, or make changes in their life. The most important conversation you have every day – is with yourself. It makes sense then that the less talk you have to listen to inside your head, the more productive and effective your life will be. Look at it this way, it’s almost like we have a crowd inside our head that are vying for our attention. This crowd includes your doubts, fears, judgments, past memories, limiting beliefs, conditioned beliefs, and a host of additional ideas about what’s okay or not okay for you to be, do or have. We really have two voices though that matter. There’s the inner critic, which fills your head with limiting and negative self-talk and there’s your inner self, which I call your sacred-self, which speaks to you with logic and reason. The inner critic’s job is to second guess everything you want to be, do or have. This is the part of you that doesn’t believe that you deserve to be happy or fulfilled and that life is nothing more than struggle and pain. It also is the part of you that sabotage’s your happiness and success in life. The inner critic evolves from self-limiting beliefs that are conditioned in your thoughts and behaviors as you grow up. These are beliefs about what you can’t do and what is not possible to achieve in your life. They are the ones that shatter your dreams and whisper in your ear that you’ll never amount to anything anyway. As long as you continue to let the voice of doubt, limitation, or negativity rule your life you will always feel like either a fraud or a failure. No matter how successful you get, or how much others praise you, if your inner critic is in control, then it will fall on deaf ears. Every time you doubt yourself – it’s not you doing the doubting. It’s a voice from the past who caused you to doubt yourself and it was easier to believe it than stand up for yourself at the time. That voice is a fraud. This negative self-talk is linked to voices that belong to your past that criticized or judged you and you believed in them. What this does is to crush your dreams, devours your confidence, and keeps you stuck in a cycle of fear and insecurity. We can learn to turn the dial dial on our inner critic so that the sound of the crowd of naysayers gets lower and lower until finally they have no voice at all. It won’t happen overnight but it will happen, you just need to learn how to turn the dial up on your sacred voice. 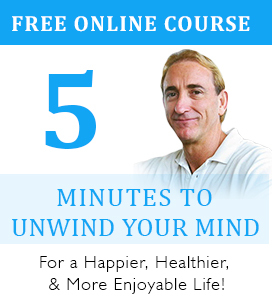 Let’s have a look at how you can start to take back your power from your inner critic. Your sacred voice is always talking to you and all you need to do is listen. It is the voice that always knows what you want. It is the voice that always knows what to do. It is also the voice that is connected to your deepest dreams and purpose in life. In short – it is your voice. Any other talk you hear is nonsense that has been borrowed from people or the world around you, and it’s time to put it back where it belongs – in the trash. Next time you hear it – tell it to shut-up. That’s all you need to do. Sure, it may keep trying to sabotage you from taking back your power by getting a bit louder at first but as long as you are not willing to buy what it’s trying to sell you, then it knows it’s playing a losing game. 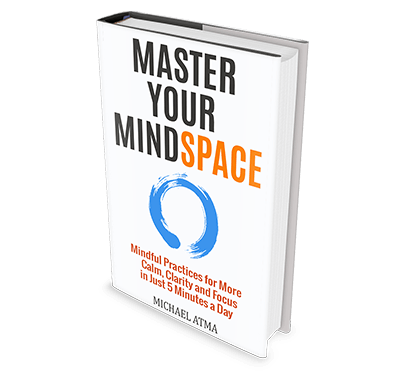 It may sound like such a simple thing to do to break free from a lifetime of negative self-talk and yet it’s the simplicity of it that is the power and beauty of this technique. However, just like anything of value in life, you need to be consistent with it to get the best results. Just doing it once, won’t cut it. The second part to making this work even faster is that once you have told your inner critic to ‘shut-up’, then you need to immediately do something to show your inner critic that you are now in control. The easiest way to do this is to do the opposite of what your negative self-talk would allow. For example, if you want to lose weight and your inner critic is sabotaging you eating well and exercising regularly, then force yourself to make one change to your diet or exercise routine starting today. Then keep doing it daily for 30 days so that you lock it in as a new habit. It doesn’t matter how big or small the change is – just do something. This teaches your inner critic that you are in charge. This is by far the fastest way to start to take away the power from your voice of doubt and fear. 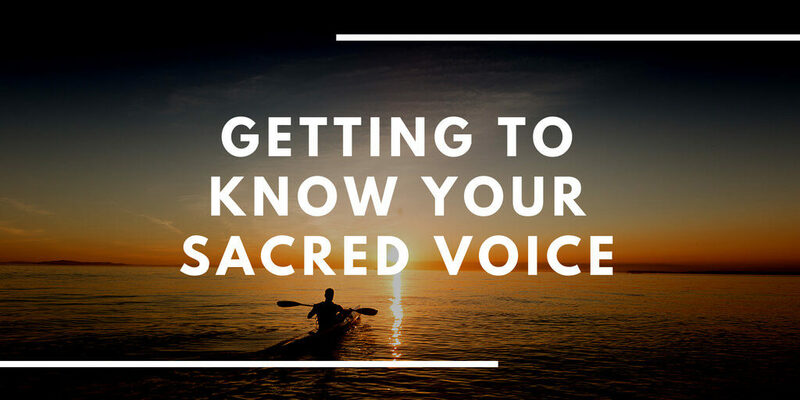 Then, at the same time you can start to turn up the dial and start taking more notice of what your sacred voice is saying. 1. It never lies to you. Your inner voice is always connected to your deepest truth and what is aligned to for your highest good. It may not always be what feels comfortable for you to do but staying comfortable means to never change. To never change means your life will stay the same. 2. The more you listen to it and do what it says, the stronger you will get. Your power as a person is only limited to how much you believe in yourself. Things like doubt and self-sabotage hold you back from your greatness. True power comes from knowing who you are and what you really want out of life – and then making it happen. 3. It will give you more confidence. Your self-confidence grows as you listen to and trust yourself more. The only time we doubt ourselves is when we allow the voices or reason of others to make us second guess ourselves. 4. You will live a life of unstoppable passion. Passion comes from living what you love and being truly happy to be alive each day. When you let your inner voice lead the way in your life then you are opening the doorway to your inner-most passions and desires to be lived. 5. Your life will be on purpose. Living an authentic life is simply one that you live according to your own rules. It’s following your heart without hesitation and using your mind to make the right choices for what’s in alignment with your god-given talents and abilities. 6. It will make you a leader. Every one of us is unique to the world. None of us are exactly the same – this is the beauty of our lives. For us to fully live our uniqueness we need to be ready to stand out from the crowd and dare to be different from the rest of the sheep that settle for a second-hand life. We get one chance at living an Authentic life in this lifetime and if we miss it, then we are really missing out on giving ourselves the best chance to let our light shine brightly into the world. Too many people have given up on their dreams already and live their lives in misery – we can show them another way if we just stay true to ourselves. 7. It will put an end to any suffering. The main struggle that most people have is the struggle they have within their own minds. Should they do this or that? What if this or that happens? Why isn’t their life the way they want it to be? Why do bad things keep happening to them? These questions and the multitude of other distracting and conflicting thoughts that people have take up valuable real-estate in the mind. A busy mind that is not focused or even worse gets stuck focusing on negative things will eventually ruin any chance you have at having the best quality of life. We all need a break from our own heads from time to time and without it, life tends to feel overwhelming, which leads to all sorts of mental, physical or emotional problems we then have to deal with. When you have only one voice to listen to then you can give yourself a break from your head anytime you like.